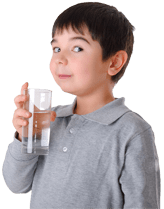 An interesting newer line of products we’ve added to the friendsofwater.com store is the series of Handheld UV Water Purifiers from SteriPen. There are very small portable Water Purifiers for use in traveling, outdoors and emergency preparedness. All of them work by submersing the light wand into water. They eliminate viruses, bacteria and protozoa. This includes cryptosporidium and giardia, and travel pathogens that cause diarrhea, dysentery, hepatitis and polio. They are all also effective on disaster risks that cause cholera and other water-borne illnesses. Different models are available with variants that include solar power, hand-powered, rechargeable, long-lasting, with a USB charger connection, with a bottle, etc.